Wishing my family, all friends and bloggers out there a Happy New Year. May 2013 bring you more success and joy. 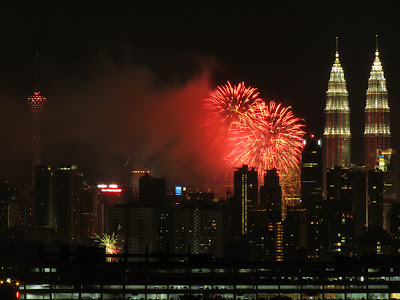 Here are some pics of the fireworks that went off at KLCC and the surrounding area as viewed from Ampang. Big balls of fire going off at KLCC Twin Towers. This is 7 minutes past midnight according to the clock on Menara Maxis. 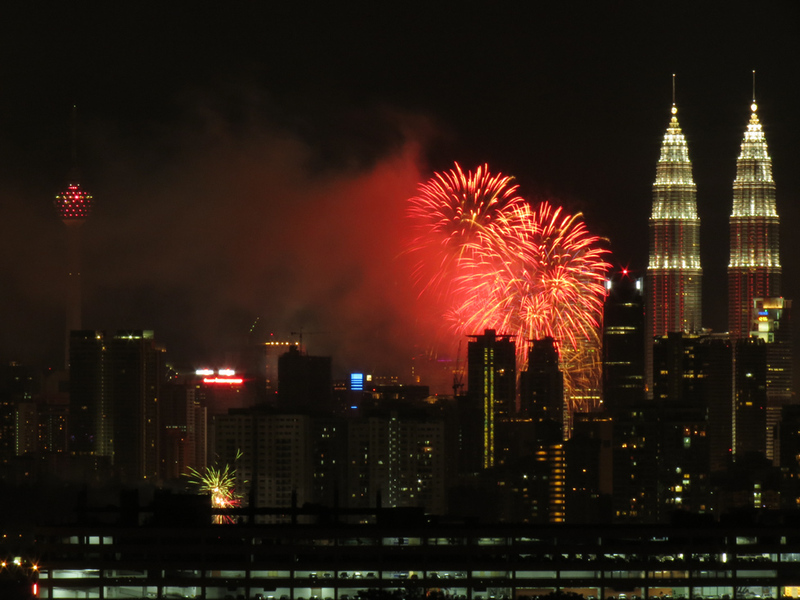 A minute into 2013 - fireworks and the Twin Towers. 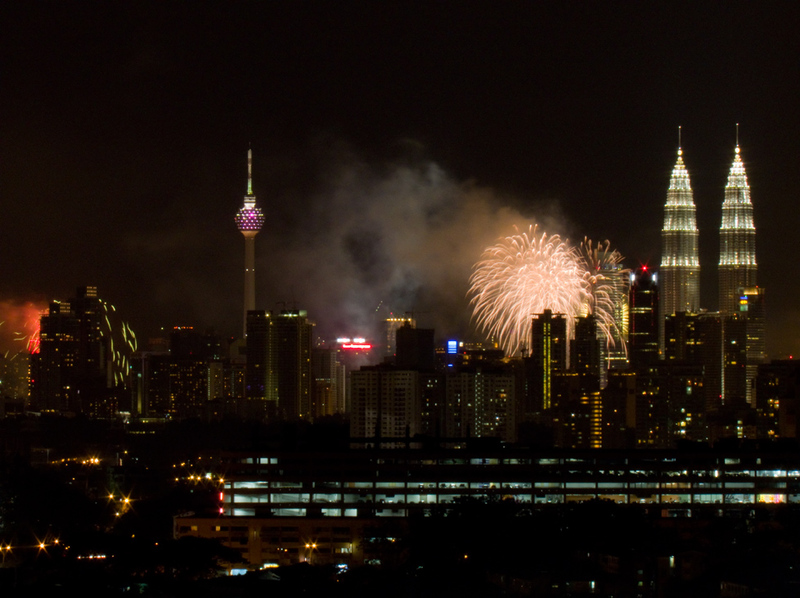 More fireworks with the KL Tower and the Petronas Twin Towers. A short video of the fireworks from Spectrum in Bandar Baru Ampang as well as the fireworks that goes off at KLCC Twin Towers and around KL town. 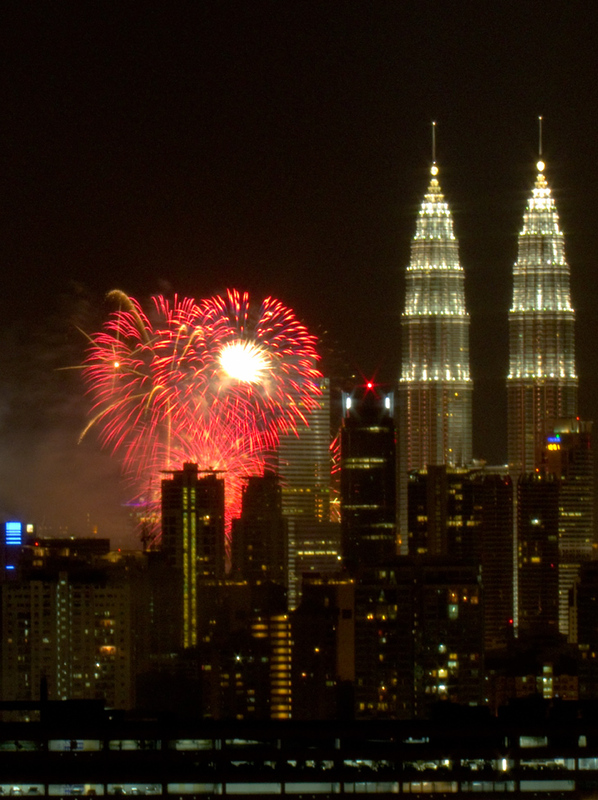 The nicer KLCC fireworks can be seen after 1.15min of the video. Wow! I didn't know that so many fireworks went up the air that night. Thanks for the video. Happy New Year! Glad you liked it. There were many that went off from Dataran Merdeka side. We also saw those from Genting Highlands! They lasted a long time and were amazing despite the distance. Happy New Year. Next month also another New Year :). Tak pernah pergi tengok fireworks during New Year. I will be posting the 'fruit' yang you cakap ada hari tu baru perasan. The fruit is cute. Too bad it turned black. Maybe an incompatible pollen was transferred or the stigma cavity got infected with fungus.